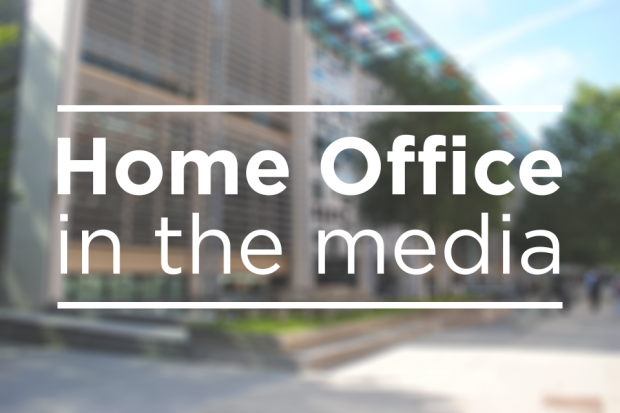 There is coverage across the newspapers today, including in the Times, Guardian and Telegraph, of the Home Secretary's decision to authorise police use of a new model of Taser. The papers highlight how police officers will now need to record the location and outcome of each use along with the ethnicity and age of those a Taser is used against. Read the press release announcing these decisions. The Sun reports that 600,000 live baby eels worth £1.2 million have been seized by Border Force officers at Heathrow Airport with a man arrested on suspicion of customs offences. The paper highlights that the European glass eels are an endangered species and are considered a culinary delicacy in Hong Kong. It is illegal to export them out of the EU. The seizure was part of Operation Thunderbird, a global INTERPOL-led operation tackling the illegal trade in wildlife and timber. Read more about the role of Border Force in Operation Thunderbird.